Philippe Melka is quickly becoming the name to listen for on wine tours and wine tastings. Additionally, look for this wine on lists in the finest restaurants all over the Napa Valley. This Bordeaux native studied geology, agriculture, and enology throughout his higher education. He cut his teeth studying and working in wineries everywhere from our own Yountville, in the heart of Napa Valley, to his home in France and overseas in Australia. He has learned from some of the finest winemakers and wine houses in both France and the United States. Melka now consults at wineries throughout Napa Valley to help other brands build the complexity, texture, and depth of flavor associated with his name. He is also the co-proprietor of his own label but his artistry is evident in each of the winery portfolios below. Join us for a taste of the best work of Philippe Melka, the winemaker who famed wine critic Robert Parker. Parker is among the top nine wine consultants in the world! If you see something you like—and we’re sure you will!–Beau Wine Tours can add that wine tasting to your Napa Valley wine tour! Philippe Melka and his wife Cherie are co-proprietors of Melka Estates, which includes four unique projects. These are the Métisse, Mekerra, Majestique, and CJ brands. Each project offers a unique flavor and technique. This reflects both the source of the label’s grapes and the goal of each individual project. “Métisse” is French for “a blend of cultures.” It focuses on Bordeaux blends sourced from some of the finest vineyards in Napa Valley. (The label has recently added single vineyard projects as well). The Mekerra label is named after a river near the hometown of Melka’s father. The wine consists of high-elevation fruit in the Knight’s Valley appellation and results in three unique bottlings. The Majestique line focuses on truly majestic growing sites in both France and California. It includes Bordeaux and Rhone varietals, like the Syrah produced from the Paderewski vineyard. The CJ label is named for the Melka’s children, Chloe and Jeremy. These Bordeaux blends are vibrant, fun, and meant to be enjoyed now – a reflection of the joy they find in raising their family! With all these projects going on at once, the Melkas need a modern facility and of course, access to great fruit. Their winery not only functions to fulfill winemaking needs, but also serves as a hospitality center. Winery visits and wine tastings are by appointment only. However, the experiences are intimate and tailored to the needs and desires of those in attendance. Melka Estates is a great choice for anyone who wants to sample nuanced flavors from some of the best growing sites in the world! Billed as the “next great luxury brand,” Tusk Estates has all the qualifying qualities of a cult winery. In other words, it has a secret location but no tasting program or winery visits. And of course, it has the expertise of a famous consulting winemaker. Luckily for Tusk, that winemaker is Philippe Melka. Critics agree that this wine’s status as a small-lot fine wine is absolutely earned! It doesn’t hurt that the other two members of the Tusk team bring enormous talent and expertise as well. Tim Martin started his culinary career at the tender age of eleven. He worked as a prep cook for his Italian grandfather in the first of many restaurant industry jobs. This was until he was brought into the Napa Valley wine community by Robin Lail (of Lail Vineyards fame). Michael Uytengsu was once an investment banker who returned to his family’s food business in the early 90’s. His childhood, spent both in Asia and the United States, has given him a passion for international travel in pursuit of good food, great wine, and long friendships. These interests came together with Tusk, a name chosen to reflect the ivory extracted from within the tusks of wildlife – a product of nature’s “exquisite care and sublime grace.” The metaphor extends to the cultivation of fine fruit and ultimately, fine wine from the most sought-after soils in the Napa Valley. The winery’s Cabernets are currently sold out but those interested in adding Tusk to their cellar can join the waiting list to receive a future allocation. It’s worth the wait; as the head sommelier at world-famous Yountville restaurant, French Laundry says, “The 2013 Tusk is among the prettiest, silkiest, most amazing Cabernets.” Though Beau Wine Tours cannot include Tusk in your party’s wine tasting tour, the other Melka wines can help indicate the distinct style and high quality that consumers can expect from Tusk. The Fitts knew they couldn’t do it alone. They sourced assistance from some of the most accomplished wine professionals in the valley, foremost among them Philippe Melka. “I have been involved in very few projects,” Philippe says, “where I’ve felt from the start that there was something special, like BRAND.” He cites the amazing location but emphasizes the other talent on board, like the architect and vineyard manager. Melka and the Fitts aren’t the only ones who think BRAND has something new to offer to Napa Valley wine tasters. 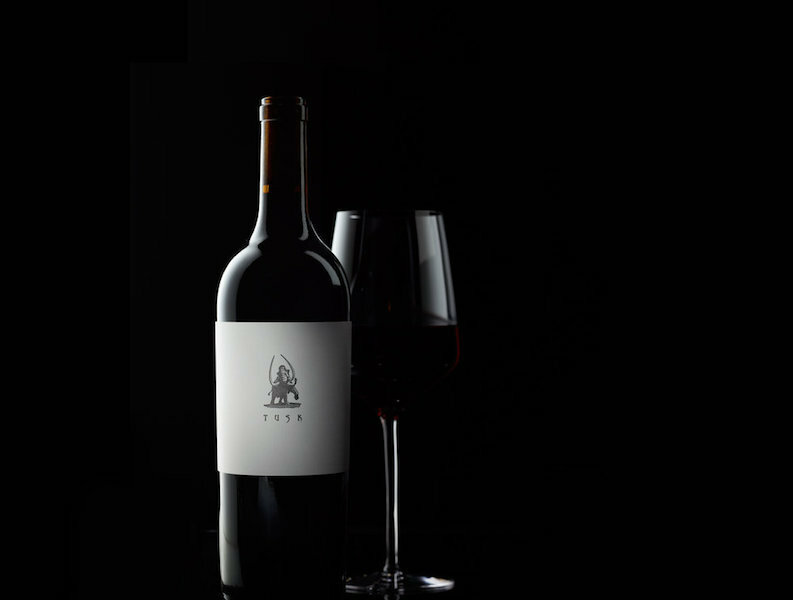 Robert Parker scored their newest Cabernet Sauvignon (the 2016) 96-98 points. The 2016 Proprietary Blend received a 97-99 rating. To taste these wines on a wine tour, appointments must be made in advance. BRAND recommends that those interested in acquiring wine for their own cellar join the mailing list. ADAMVS is a great example of how wine can be made working with the gifts of nature. The winery’s five vineyard blocks are planted almost exclusively to Cabernet Sauvignon. Furthermore, all are on the hillside slopes of Howell Mountain, ranging in elevation from 1,500 to 2,000 feet. Described as a “mosaic,” these vineyards grow specially chosen clones of the grape in a biodynamic mode of viticulture focused on honoring the necessary harmony of natural elements, both renewing the soil and coaxing its most subtle, nuanced qualities into the fruit itself. Renowned viticulturist, Michael Wolf—who was instrumental in the replanting of the world-famous To Kalon vineyard—worked with Philippe Melka to develop the vision of owners Denise and Stephen Adams. The couple also farms Saint-Émilion’s Grand Cru Classé Château Fonplégade in the Bordeaux region of France and brings that expertise to the site they fell in love with in the Napa Valley. Wine tastings at ADAMVS reflects the Adams’ care for integrity and quality, as their hospitality spaces share this philosophy. Designed by architect Kurt Melander, the Cypress House and Wine Library use natural and artificial materials. In other words, this helps create spaces that reflect the interplay of nature and art. Of course, the same is true in Philippe Melka’s crafting of the winery’s Cabernets: The QUINTVS focuses on the distinct soil types of Napa Valley’s Howell Mountain, for concentration and complexity. The flagship ADAMVS is made from barrel selections that emphasize elegance and depth, and the TÉRES field blend reflects California expression in a Bordeaux blend style. To taste the amazing wines at ADAMVS, visitors must first join the mailing list and then reserve an appointment in advance. 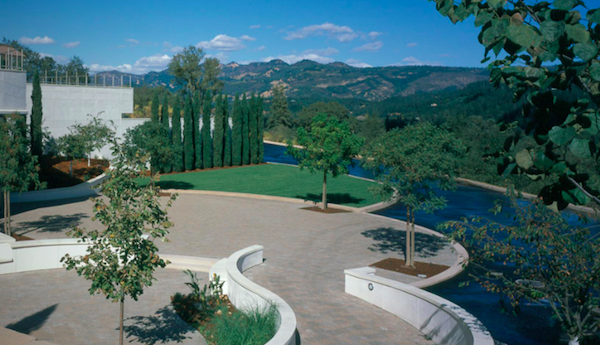 Doesn’t everyone dream of retiring to the Napa Valley? But what if, as in the case of Teresa Norton and Tom Paine, you discovered your retirement property was perfect for growing Cabernet? The acreage was just north of Saint Helena in northern Napa Valley. It proved to have perfect soil and heat for encouraging complex flavors from Bordeaux fruit. So, instead of retiring, the couple opted to develop their estate. Then, it was acquired by current owners Chuck and Ann McMinn in 2000. They found an additional vineyard site slightly north of the original and had a state-of-the-art winery built for Vineyard 29. Their success under the careful guidance of Philippe Melka has elevated the label to the prestige it enjoys today. The winemaking program includes three different series: the 29 Vineyard estate wine, the Aida Vineyard estate wine, and finally, the CRU series, which sources grapes from the finest growing regions in the Napa Valley and the Willamette Valley in order to showcase a broader range of varietals. Your wine tasting tour can sample a selection of these wines in three different tasting experiences. firstly, the Courtyard Tasting, which offers a relaxed flight of four current release wines while enjoying the winery’s gorgeous view of Napa Valley; secondly, the Essentials Tasting, which includes an informative tour of the winery and caves that concludes in a seated tasting; and lastly, the premium Library Food and Wine Pairing. This one builds on the Essentials with delicious light bites paired with Vineyard 29’s lush estate and CRU wines. Due to the popularity of these wines and the limited tours available, it is best to make an appointment ahead of time! Philippe Melka has an impressive roster of wineries and wines on his resume. However, this rising star is only just getting started. To taste some of his lauded wines today, contact Beau Wine Tours to arrange for a tasting at one (or several!) of the fabulous wineries above. Wine Tasting with a View! ← Wine Tasting with a View!